PAUL WELLER: WILD WOOD: 1993: 5 STARS OUT OF 5 STARS: The Modfather’s second solo album- by the time he started his solo career a year earlier he had already fronted two bands- The Jam- and Style Council- two very different bands music wise. His early solo albums are classics- but he still goes unknown for the most part to the American public- having very little chart success over here. This album went to #2 in the UK and had three hits- Wild Wood #14, Sunflower #16 and Hung Up #11- it is included in the 1001 albums you must hear list. DWIGHT YOAKAM: GUITARS, CADILLACS, ETC. ETC: 1986: 5 STARS OUT OF 5 STARS: I am going to see Dwight in a couple weeks- thought I’d listen to some of his stuff again between now and then to get myself up for the concert. This was his debut and it went to #1 on the country album chart and gave him three hits- Honky Tonk Man, Guitars, Cadillacs and It Won’t Hurt. Other favorites I’ll Be Gone and South Of Cincinnati. DWIGHT YOAKAM: HILLBILLY DELUXE: 1987: 4 1/2 STARS OUT OF 5 STARS: Another country #1 album and 4 Top 10 singles-Little Sister, Little Ways, Please Please Baby and Always Late With Your Kisses. My favorite on the album is Readin’ Rightin’ Rt. 23. 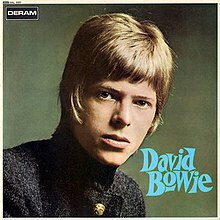 DAVID BOWIE: DAVID BOWIE: 1967: 2 STARS OUT OF 5 STARS:The stunning debut is a rarity but most debuts have a little more going for it than Bowie’s. He was still in search of himself at this point. His career started out slow- there were a few glimmers of hope on this but I don’t think anyone back in 1967 hearing this thought his career would reach the heights that it did. 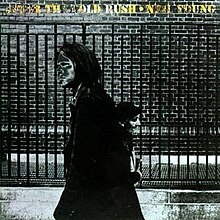 NEIL YOUNG: AFTER THE GOLD RUSH: 1970: 5 STARS OUT OF 5 STARS: Since I’ve listened in the past month to Neil’s first 2 albums and Harvest #4- I thought OK- I haven’t listened to Neil’s catalog in a couple years let’s do it again. After The Gold Rush is a classic – although Harvest would be more successful this is easily to me anyway much better. The title track is one of my favorite Neil songs- so is Southern Man. Other favorites- Birds, I Believe In You, Don’t Let It Bring You Down. Critics at the time were not all that impressed but over time it has been seen for what it is- a masterpiece. Neil’s first 1970’s album- one of the better if not the best album artists of the decade. On the list of 1001 albums to hear. 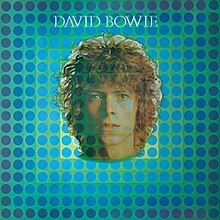 DAVID BOWIE: SPACE ODDITY: 1969: 3 STARS OUT OF 5 STARS: Bowie’s second album showed some promise- Space Oddity- of course one of this signature songs- was on this and went to #5 in 1969 in the UK- and returned in 1975 and went to #1. In the US Bowie was an unknown still-it peaked at #124 in 1969 and #15 in 1973 after Bowie had been ‘discovered’ and was a star. Other highlights- Letter To Hermione, Cygnet Committee- which showed hints of the future Bowie. 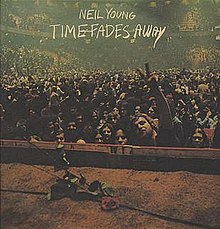 NEIL YOUNG: TIME FADES AWAY: 1973: 4 STARS OUT OF 5 STARS: A Live album of all new material. After the great commercial success of Harvest and Heart of Gold going to #1- Neil wanted to make sure that didn’t happen again [and it hasn’t- he’s never had another #1 album and only one other Top 40 single- Old Man #31- before Heart of Gold he had Only Love Will Break Your Heart #33} This album still hasn’t been re-issued on Cd- because Neil wasn’t happy with the tour. It was finally released as a part of a CD box set a couple years ago. A good album that’s reputation has grown over the years- R.E.M has cited it as an inspiration for their New Adventures In Hi-Fi album. DAVID BOWIE: THE MAN WHO SOLD THE WORLD: 1970: 4 STARS OUT OF 5 STARS: Bowie’s third album has been called by critics- the album were the story really starts- and the first proper Bowie album. The song everyone knows from this is the title track. The first two albums were more acoustic- this is hard rock. Highlights- the title track, Black Country Rock, All The Madmen, The Width Of A Circle. 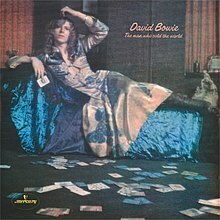 With his first album of the 70’s Bowie was starting what would be his classic period. As with Neil Young- Bowie would be on the very short list of greatest album artists of the 70’s- he would have more singles success than Neil but he wasn’t Elton John as far as singles go. I’ve always liked Dwight, he’s got that old style sound. I have his guitars, cadillacs CD. You’re going to see Dwight in concert? How thrilling! I like Time Fades Away as much as After the Gold Rush, but you can’t beat those first notes on After the Gold Rush. Both have gotten a lot of play. I was channel surfing last night and came across The Grammy’s for a few moments at the right time Dolly Parton and a few others singing a medley of songs- one of them was After The Gold Rush.